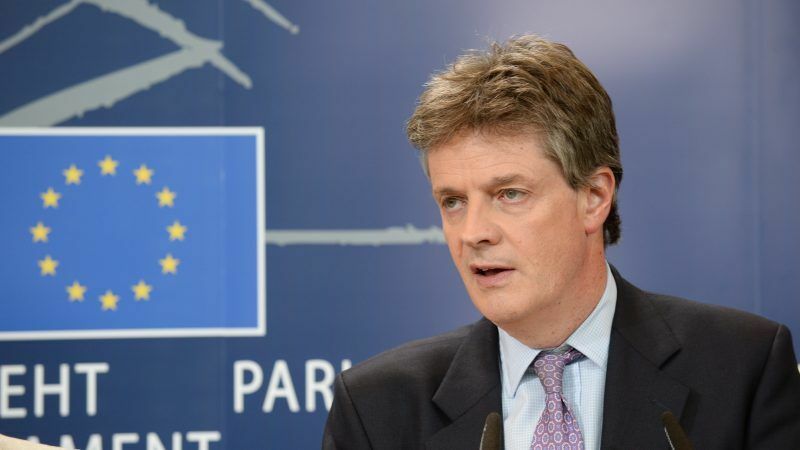 Swiss bank UBS has hired the UK’s former European Commissioner, Jonathan Hill, to advise corporate customers about Brexit, it was revealed on Tuesday (29 May), prompting ‘revolving door’ concerns once again. Hill was European Commissioner for financial stability, financial services and the capital markets union until July 2016, working on the project to integrate Europe’s financial markets more closely. He resigned from that role after Britain’s vote to leave the European Union and has since been involved in setting up Prosperity UK, which aims to bring together business leaders both opposed to and in favour of Brexit. UBS said that former Conservative politician Hill’s experience working in British government and in Brussels will mean he can advise corporate customers on the implications of Brexit for their business. But his swift move to the private sector, less than two years after leaving the EU executive, has unsurprisingly set alarm bells ringing as the issue of Brussels’ so-called ‘revolving door policy’ rears its head once more. 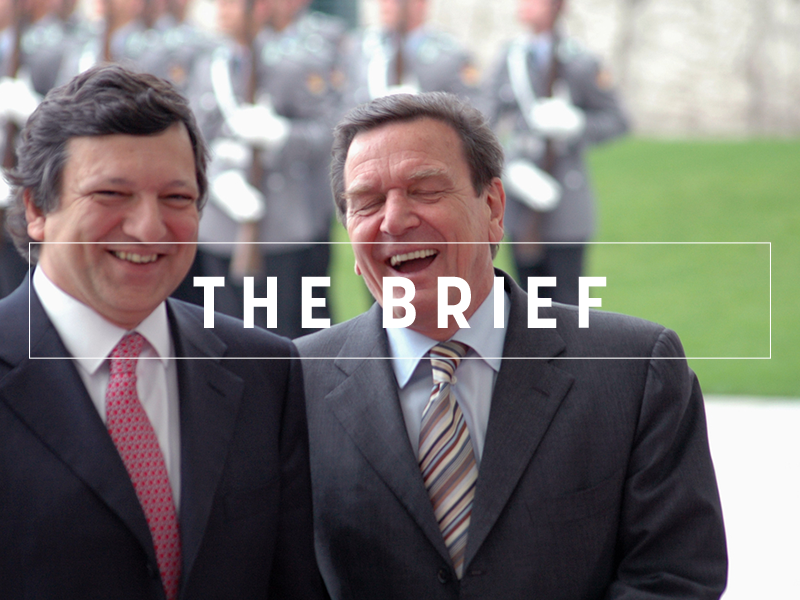 The most infamous case so far is former Commission President Barroso’s accepting of a job with Goldman Sachs, which prompted the Portuguese politician to pledge that he would not lobby his old institution. Concerns were raised again earlier this year when it was revealed that current jobs and growth Commissioner Jyrki Katainen had taken a meeting with Barroso. Ombudswoman Emily O’Reilly promised to look into the case, although both insisted the meet-up was just personal. Former German Chancellor Gerhard Shröder has also come under the spotlight for his roles with Russian gas and oil companies, Gazprom and Rosneft, respectively. 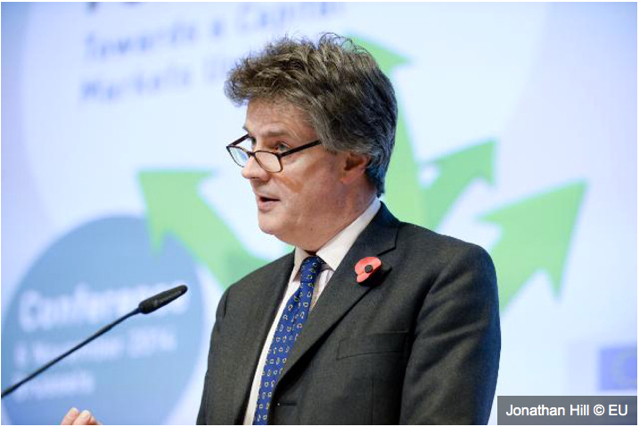 NGO Corporate Europe Observatory (CEO) cited Hill’s case as proof that the Commission still has a “serious revolving door problem”, pointing out that the former official will be working in an industry he formerly regulated. “UBS stands to benefit from Hill’s insider know-how, influence, and access to relevant actors in the EU administration and the political level of the Commission. All of these are privileges which are exclusive to former Commissioners, making strict revolving door rules so vital, said CEO’s Margarida Silva. New rules implemented in February extended the so-called cooling-off period for Commissioners from 18 months to 24 months, and 36 months for former presidents. However, the rules cannot be retroactively applied, meaning Hill’s move to UBS is in keeping with the rules as they were when he was an EU official. Irony is not dead – it resides in every day news. A UK Tory to advise banksters on the impact of Brexit, caused by Tories. Camoron hired by village as idiot, Mrs May retires to a nunnery (I made the last one up – the others are true). Irony continues with “involved in setting up Prosperity UK” – the Tories introduce austerity into the UK. This led to an explosion in the number and use of food banks and the working poor. Fact, UK median wages remain unchanged since 2008. But now Benny (Hill) thinks it can be plastered over. As for the revolving door problem: perhaps a new version of Cosi Fan Tutti is needed – some update lyrics with commissioners and ex-commissioners as the “ladies”. I use the word “ladies” advisedly, since ex-Commissioners behaviour after leaving their jobs would make a whore blush (yes Jose – I mean you – amongst others).